All our Instructors and Assessors are drawn from our sister contracting company’s (Commercial Diving and Maritime Ltd) regular staff, or direct from industry. The team has extensive experience in both inshore and offshore diving procedures along with significant media, scientific and archaeological project experience. All our personnel still also work in the “real world” rather than just working full time in theoretical sterile teaching environments, so are current in the latest industry practices. 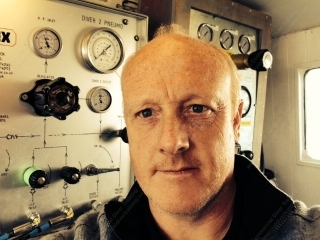 George Gradon, born 1970, has spent the last 20 odd years employed as a professional diver, half of which has been with Subsea 7, aboard Saturation Dive Support Vessels, operating throughout the North Sea, Norwegian and Canadian waters. George has been training commercial divers to HSE standards since the late 90’s, and operated a successful marine civils company since 2007. Disappointed by the standard of newly qualified divers entering the industry, both inshore and offshore, he felt it was time for a new school, that offered relevant programmes, delivered by a current instructional team utilising up to date equipment in a real environment. Sal served 15 years in the Royal Marines which is where his diving career started. 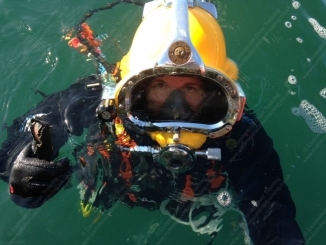 After leaving the RM in 2003 he continued his diving career working on numerous marine civils, harbour moorings, salvage, shipping, and media projects all over the world before becoming a supervisor. Sal runs our contracts company, teaches on the courses where possible and supervises the Offshore Top-Up Phase so as to ensure the high standards that our instructional team strive to deliver are met. 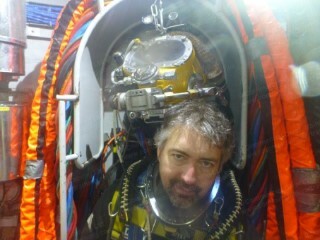 Sal also is a highly qualified equipment technician responsible for all diving equipment, plant and vessels. As well as this he is an ADC Inshore Supervisor, IMCA Offshore Air Supervisor, Kirby Morgan Technician and Instructor and a Commercial Skipper who operates our 24m dive vessels. Tamsin has been a diver and instructor for over 15 years owning and operating her own successful Diving Company, she is an Appointed Diving Supervisor, HSE First Aid at Work Instructor Trainer, Powerboat Skipper and an Offshore Commercial Diver. When not at the helm of CDT she works within Commercial Diving and Maritime Ltd on contracts when she can. Failing that, you’ll find her in the office as she is normally the first point of contact for new students of CDT. Graham is our senior instructor and has been working within CDT from the start. He comes from a Royal Naval background where he served for 8 years and reached the rank of Lieutenant serving on HM submarines. He started his diving career here and when he finished in 2008, he spent time as a dive manager for a busy recreational centre. Since completing his commercial courses, he has enjoyed working with various inshore civils companies as both a diver and supervisor. Graham is an experienced instructor having previously taught for Plymouth University within their Professional Scuba program. He is an ADC approved Supervisor, a Commercially Endorsed Skipper and is a regular supervisor for our inshore civils sister company. 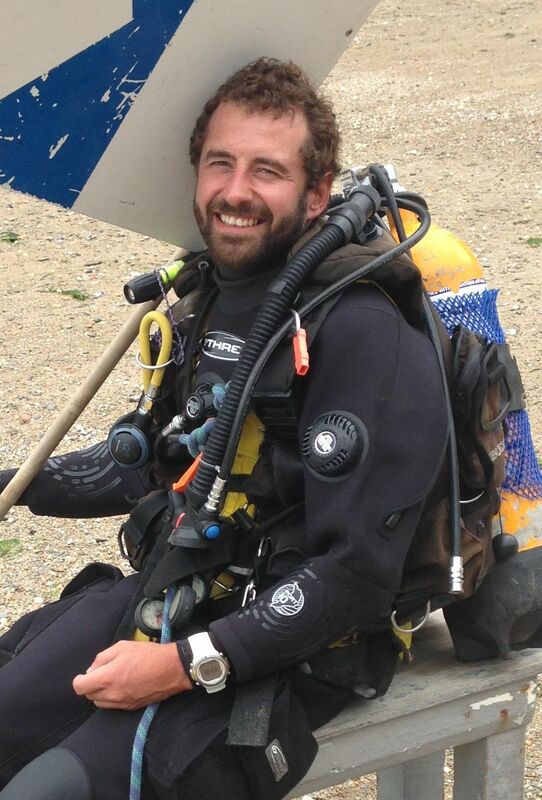 Will joined CDT in 2016 after moving back to Cornwall after working in the Channel Islands for the last 6 years within the dive industry. 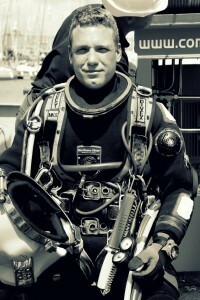 He is a highly qualified Dive Technician and Commercially Endorsed Skipper. When not working for CDT Will rotates back to Commercial Diving and Maritime Ltd to assist the teams with diving and technical support. CDT is supported by a whole army of support staff including standby divers, technicians, maintenance crew, chef, housekeeper and our accounts team.